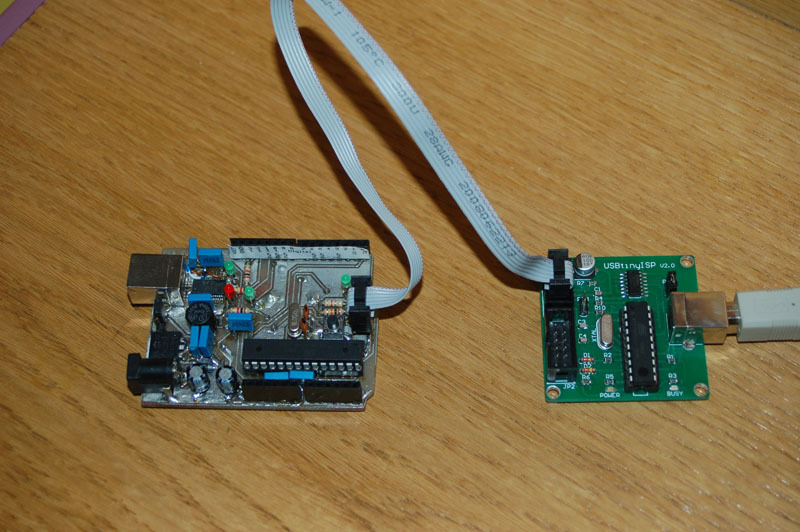 When running low on flash space you usualy have two options: use another processor (for example ATmega328 or ATmega1280), or don’t use the bootloader, which takes about 2KB (and when having only 16KB space on ATmeag168, that’s a lot!). 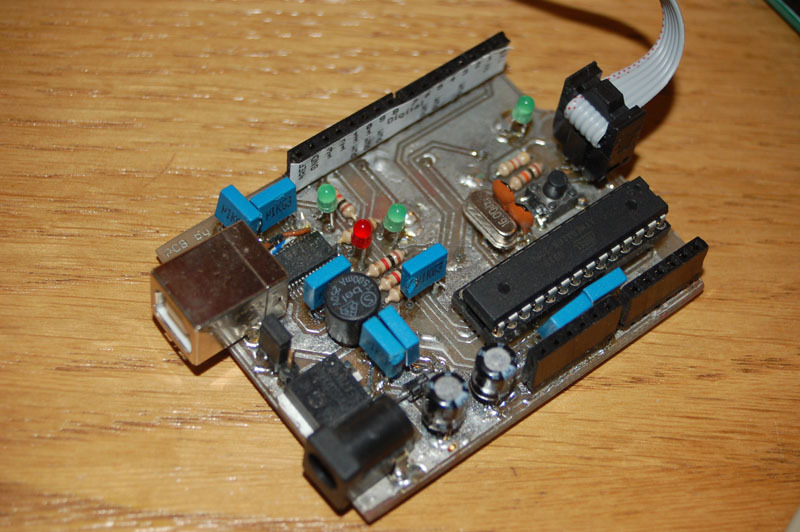 So I started using ICSP to program my Arduino. 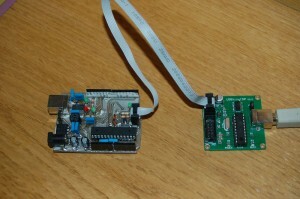 At first I built parallel programmer, but it was a bit harder to use. 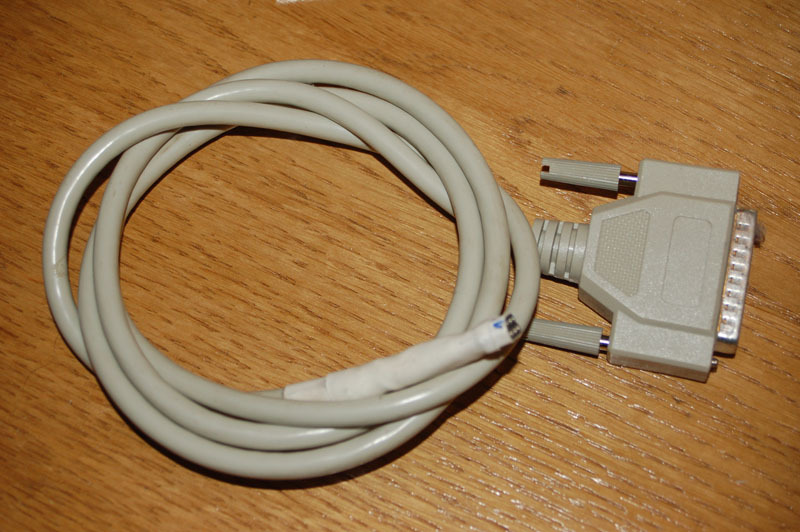 I couldn’t use it on my laptop as it doesn’t have parallel port and you have to get an external power supply. But for a while it was enough, as I only used it to burn bootloader on my chips. 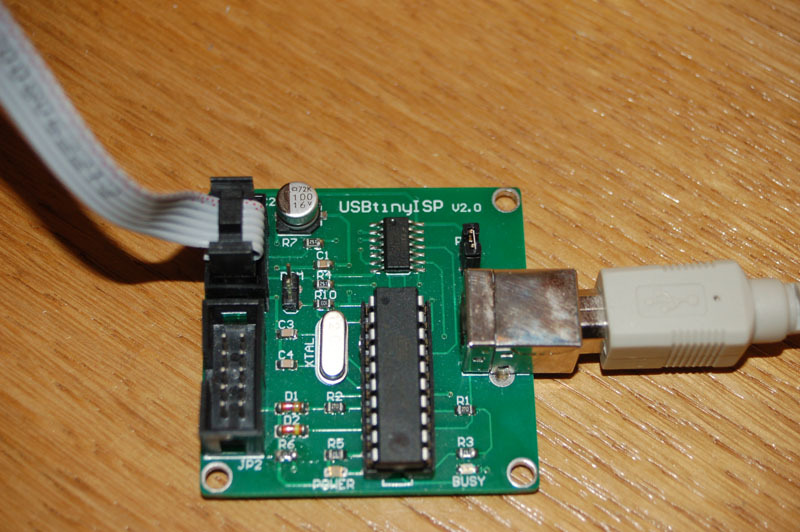 Then I found USBtinyISP. 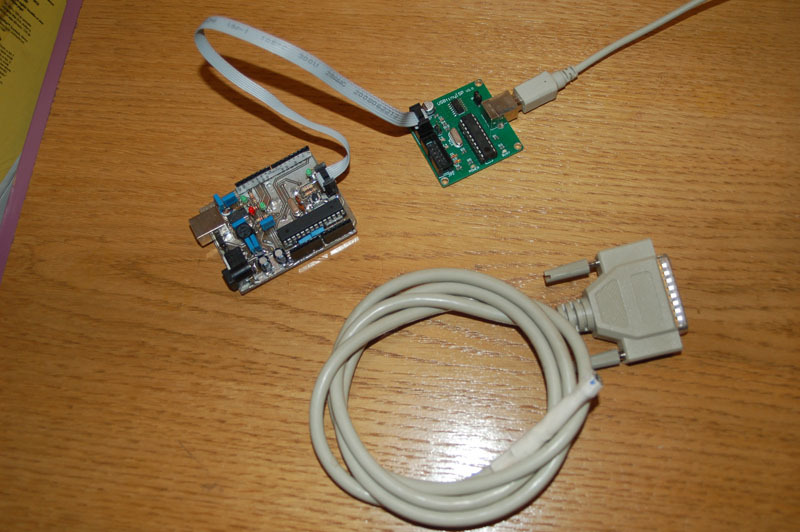 It’s realy easy to use, it’s supported in Arduino enviroment (you can directly use it to burn bootloader via Tools-Burn Bootloader), and most of all: it’s cheap! 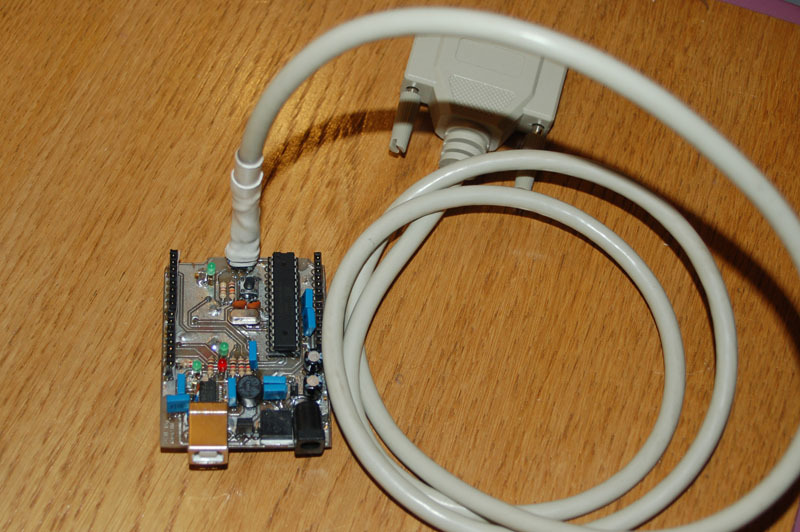 You can get it from eBuy for about 11€ (I bought it, even though I haven’t bought a factory assembled Arduino), it works on all platforms (I’ve tested windows and OSX but should work on linux too). You must close your Arduino application (if you are running it)! this is the file, where arduino boards’ definitions are stored. So we add a new one, that we will choose when programming via ICSP. Paste this into boards.txt save and close it. When you will start your arduino application you will notice there’s a new board available under Tools->Boards named “Arduino Diecimila/USBTinyISP”. 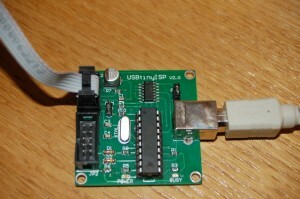 So when you are in need of more space, just use USBtinyISP to program it. iPhone unlock – končno je tu!